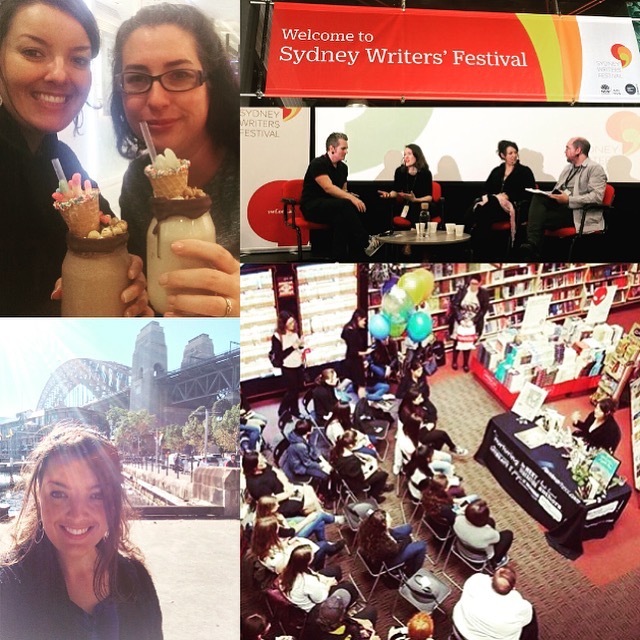 Sydney – SWF and Dymocks awesomeness! 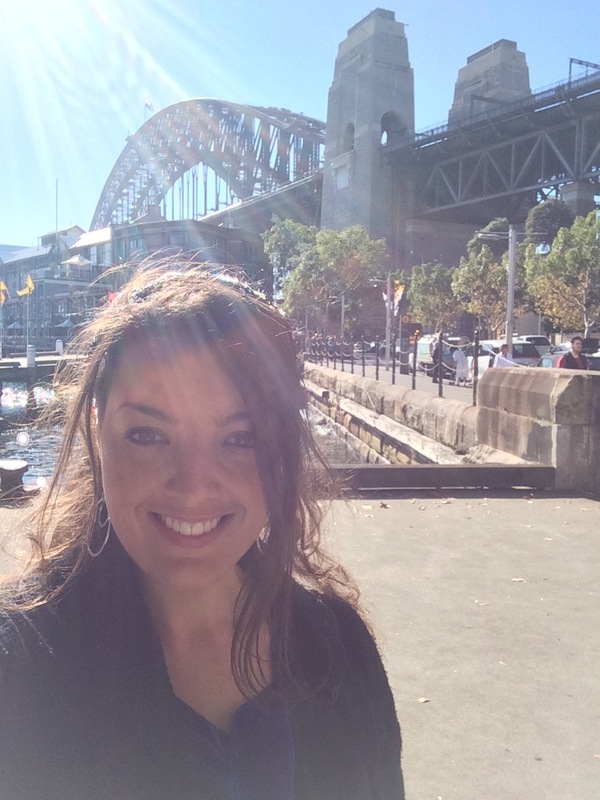 Last week I had an epic 36-hour whirlwind trip to Sydney where I was a speaker at Sydney Writers’ Festival and also had a night event at Dymocks devoted to a Medoran Chronicles Q&A. Words quite literally cannot describe just how manic that day-and-a-half was, but I’ll try to paint a picture of all the amazingness that went down. From the airport I jumped in a taxi and was ferried off to a photoshoot for some new author pics (spoiler alert: said pics involved helium balloons and blowing bubbles, among other colourful props!) and that took up a good few hours before we hurried into the city for the festival. In the green room I had the chance to meet my fellow panellists (the wonderful Anna Smaill and James Bradley, along with our fabulous moderator David Henley) and we all chatted up a storm before heading over to our venue. My response? I laughed (in an I’m-so-stupid-How-did-I-not-realise?! kind of way), and only just refrained from slapping myself in the face as I blurted out, “Of course you are.” For anyone who has read my Supanova posts, you’ll know that I’m the WORST person when it comes to recognising famous people. And this was yet another prime example. Fortunately, Tara was lovely and laughed off my idiotic response and we continued chatting for the next few seconds until we both had to leave for our separate panels. Fast forward past that moment in time and that’s when the real fun started! From what I’ve been told, our panel session ended up being completely full, and I can easily believe that since there were heaps of people and all the seats were taken! The topic itself was all kinds of awesome, since we were talking about “Creating Worlds” – and who doesn’t want to hear about that?! After that epic session, we were ushered to the signing tables and did our thing there, which was also fun, since anyone who has met me knows I LOVE meeting readers! From there, Maddy (my AMAZING Pantera-appointed angel for the evening—and I say ‘angel’ because she was super fabulous at making sure I was where I needed to be, when I needed to be, and she also brought me hot chocolate and a brownie!) hustled me from the festival and over to Dymocks. This is possibly a slight overshare, but I’d had like four litres of water that day because I was fighting off the flu and knew to keep up my fluids, and as we were in the car on the way to the bookstore all I said was, “Whatever happens, I need to use the loo before we get started,” since I was fully aware that my next few hours were going to be occupied. 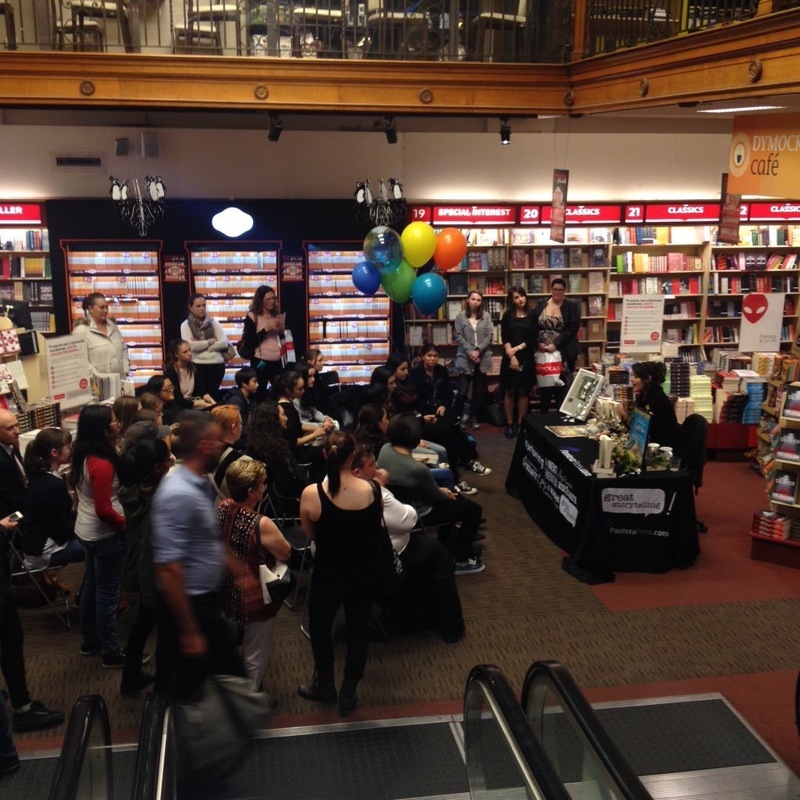 I seriously had the most AMAZING time at Dymocks! We had a group of incredible ‘VIP’ bloggers who came along and asked a question each before we opened the floor up for any other questions, and then after that I was signing books until they had to close the store (very nearly kicking us out! SORRY, DYMOCKS!!! I talk too much!!!!). And even after that, I went and hung out at Grill’d with Alison and Rebecca (from The YA Chronicles), Emily (who actually works at Dymocks (though, not that night – she came along as a reader) and she’s the most WONDERFUL person in the world and totally nailed the intro before I arrived), and the fabulous Sam and Crystal. As I’m sure you can imagine, we talked books, books, and books, and it was AWESOME!! There were many people I was so excited to see and/or meet at the Q&A, including some of my FAVOURITE READERS EVER who have supported me for SO LONG on this journey and who continually express their love for these books far and wide (massive hugs to Kaysia (@Bookskay), Corina (@Boo.k.ings), Lana (@LanasBooks) and Maddy (@MaddyTheReader), along with a heap of others who I’m totally blanking on right now!). One girl (I can’t remember who, sorry!) actually flew over from Perth for the event!! (Though, she was also staying for TeenCon at SWF that weekend, but still!) 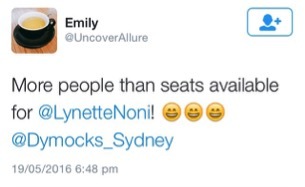 And another girl, Sophie, drove three hours into the city with her mum just to come that night! How amazing is that!!! I was so incredibly humbled, especially when some of them were so nervous meeting me that they were shaking!! I was like, “Aww, I’m seriously the least scary person in the world – promise! !” But it was just SO lovely!!! Anyway, the night was so amazing that I could continue on and on and on forever about it, so I’ll move on for now to the next day otherwise I’ll never get there. From there, after walking the hour-and-a-bit back to my hotel (mostly because I got epically lost and what should have been half an hour turned into, well, more than that), I ended up going out to lunch with one of my favourite people in the entire world: Ineke, the literary manager of Supanova. She collected me from my hotel and we headed out to… I’m going to say Balmain or Balmoral or B-something, but I could be totally wrong on that… and we had the most DELICIOUS meal! Then we wandered around the quaint shopping street (entering a few bookstores and signing stock, so if you live in a B-suburb of Sydney, go check out your local bookshop and you might find a signed copy!) before heading over to the famed Vogue Cafe in… I’m going to say Macquarie here, but again, I could be totally wrong on that, too. The reason we trekked over there was for their supposedly magical milkshakes, and all I can say is that the result was so far from a let-down that I’m still in a sugar coma from it a week later, and I barely managed to drink half of mine! But have a look for yourself and see why that might be! 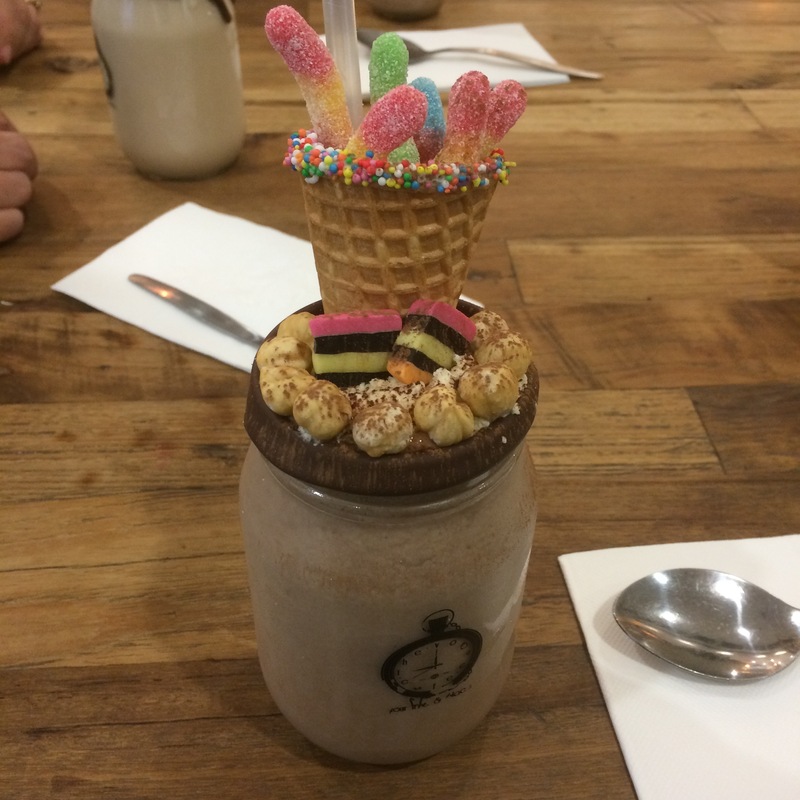 This beautiful beast is a Nutella milkshake masterpiece!! Alas, all good things must come to an end, and after our milkshakes we had to hurry back into the city so I could train it to the airport and fly back to the Coast. Needless to say, I slept like a baby after arriving home that night. But seriously – BEST TRIP EVER!!! I just want to say a massive THANK YOU to everyone who came along to see me at either SWF or Dymocks. You guys have NO IDEA how much I loved seeing you and how many warm-and-fuzzies I still feel from all your love and support. It’s because of you that I get to do what I love, and I have no way to express just how grateful I am! I’d also like to publicly thank the whole team at Dymocks for hosting the event and making the night so incredibly magical, with a special mention to the fantastic event co-ordinator, Simone, and again to Emily, both of whom are the absolute BEST! And I touched on it earlier, but I’d also like to thank all the VIP bloggers who came along and spent the days/weeks leading up to the event promoting it all over social media. For privacy reasons, I’m not going to blast all your names to the rooftops here, but please know that my love for you all knows no bounds. You all seriously ROCK – and I can’t wait until we get to meet again!! Lastly, big thanks to my publishers, Pantera Press, for their continued support on my authorly journey, and for organising my day, making sure I remembered to eat, and lending me Maddy. And of course to my fabulous publicist, Susan, for waving her magic wand yet again, resulting in such a wonderfully epic Sydney trip. 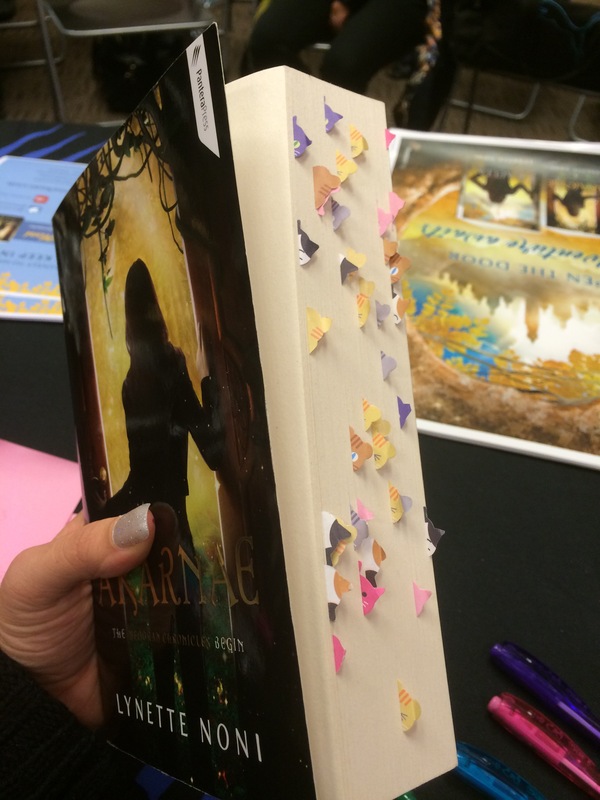 OMG love the cat tags… must get some!